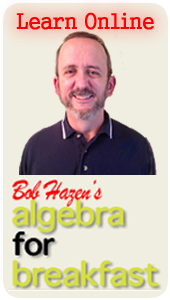 What is Algebra For Kids? At Algebra for Kids, our goal is to provide quality mathematical materials for parents, teachers, and students, including games, written materials, training, and enrichment. After several years of offering math materials, we began to see a need for broadening, connecting, deepening, and elevating how children learned math from the elementary years. So in 1995, we started a half-day, week-long math enrichment program called SAI: the Summer Algebra Institute for Kids. SAI is an enrichment program that uses algebra to unify and connect mathematics for children. One of SAI’s strengths is that we show young students how algebra illustrates several “grand ideas” that unify and connect math across grades and across topics. SAI is, as far as we know, unique in the United States. Families and children come to St. Paul, Minnesota, to attend SAI from as far away as Texas and Washington. Algebra for Kids also provides additional services through workshops, staff development, written materials such as the booklet “Math Games to Supplement Any Math Curriculum,” and our new soon-to-be-launched website SeeingMathMakeSense.com.